$349,900. 102 Acres. One lot divided by Cawood Rd., with both having the same Parcel ID number. Right side includes approx. 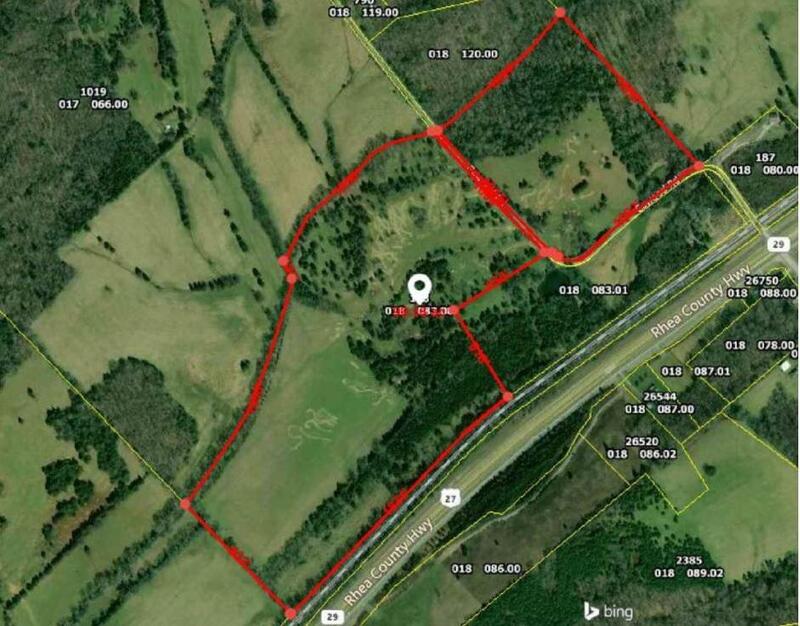 27-Acres, with a pond, 1037 foot of Vans Creek and a total of 2077 foot of 2-sided road frontage. The left lot is approx. 75-Acres which includes 1004 foot of road frontage, 1776 foot of Vans Creek, and 1871 foot that boarders the railroad that sits between Hwy. 27, (Rhea County Highway) and the property. Estimated total square footage is: 4,443,102. Aprox. 95% cleared, and currently used as pasture, was once a farm.